Anthology of literary magazines offers rich retrospective of the visionary and the forgettable alike. 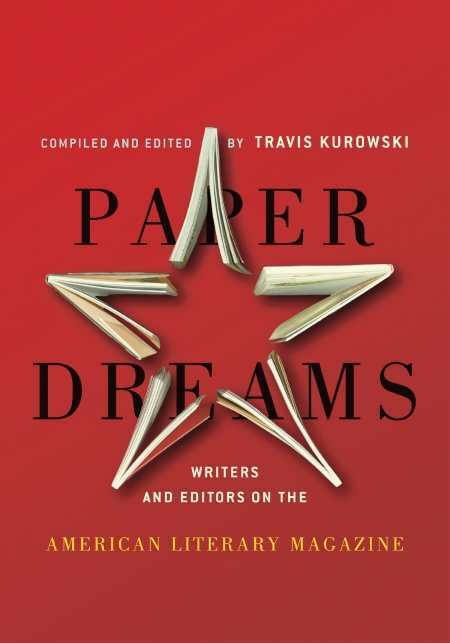 In Paper Dreams, Travis Kurowski, the founding editor of the literary blog Luna Park, gathers choice essays, interviews, commentary, and manifestos that carve a landscape of vital voices and explore relationships between editors, writers, readers, and imagined communities. Expanding on a Mississippi Review issue that surveyed the history of American literary magazines from 1908 to 2008, this anthology offers one of the few retrospectives on the subject. Small magazines emerge as a relentless labor that stir conversations absent in commercial outlets. They are rigorous in their independence, driven yet destined to fold, crucial to a nation’s intellectual life, revered, and reviled. They are rich sites for the visionary and forgettable alike, encapsulating a period’s movements, politics, and concerns. With a useful introductory note and well-placed observations, Kurowski guides readers through some of the touchstones among the hundreds of magazines. Selections trace colonial, transcendentalist, modernist, and postmodernist magazines; consider mid-century projects; and continue to the present, with intriguing stops throughout. Essays on the branding of the The Paris Review (by Kurowski), and editing as “a form of composition” (by Peter Gizzi) reveal some of the factors that contribute to a magazine’s strength. Such wise perspectives stand in welcome contrast to the handful of entries that dwell on difficulties in contemporary publishing, and which are geared toward insiders. Felix Pollak’s “The World of Little Magazines” also offers a cogent rationale for the medium. Facsimiles of literary magazine covers present a glimpse at past designs, and an appendix of notes, quotes, suggestions, and resources round out the collection. Though any anthology must confront the question of exclusion, the magazines represented provide a solid sampling of the range available. This tastefully produced work celebrates the energetic spirit of those who persevere in chasing—and making—“an object filled with objects” amid a variety of obstacles.